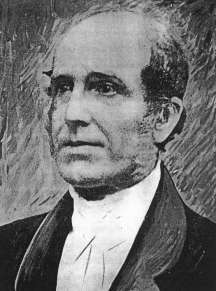 While Baptists have acknowledged the role of John Saunders as a pioneer pastor in the development of the Baptist Church – in Melbourne and Hobart, as well as in Sydney between 1834 and 1848 – there has been little awareness until recently of his substantial contributions on a wide variety of public issues during his time in the colony. We owe a debt to Henry Reynolds, who has raised awareness of Saunders’s wider role in community debates with a moving account in This Whispering in Our Hearts of a powerful sermon preached by Saunders following the Myall Creek massacres in 1838, a sermon which asserted the claims of the Aborigines on the basis of justice. There is, however, a good deal more to be said about Saunders’s contribution to public life during his 15 years residence in Sydney. While he did not achieve the stature of other Protestant clergy such as John Dunmore Lang, Saunders played a significant role in the colony, representing as he did the dissenting strand of Evangelical Christianity with its opposition to the establishment of the Church in any form. Indeed, before coming out to Sydney, Saunders attended Parliament well into the early hours of the morning during the passage of the Catholic Emancipation Act in 1829. This Act marked the end of the confessional state in which one had to be a member of the Established Church to exercise full political rights. His commitment to this principle was evident during his time in New South Wales. This documentary biography by Manley and Coe provides us with the basis for undertaking a more informed assessment of Saunders’s contribution to the public life of the colony than has been possible previously. As the subtitle suggests, the book is not a standard biography. Each chapter commences with a thematic narrative, introducing us to a particular dimension of Saunders’s life, followed by relevant documents. These include correspondence, both personal and business, transcripts of lectures, speeches, and a sermon. Much of the material included in the volume has been retrieved from contemporary newspapers, which quite clearly assumed a much longer span of attention by their readers than is the case today. Saunders was initially trained in Britain as a solicitor before his call to the Baptist ministry. This legal background is evidenced in the rhetorical structure of his writings and lectures. The documents reprinted in this volume provide us with a portrait of a socially active Evangelical typical of the period. This challenges our current tendency to anachronistically and uncritically align the Evangelical tradition of the early 19th century tradition with contemporary socially conservative fundamentalism. Appropriately enough, the Foreword to this volume is written by the Reverend Tim Costello, who happily acknowledges that Saunders is ‘my type of Baptist’. The documents included by the authors reveal that Saunders was active in public agitation and community education on a variety of issues, including temperance, aboriginal welfare, education, opposition to further transportation of convicts and the furtherance of missions. Saunders was involved in both attempting to inform public opinion and to shape public policy through public lectures, letters to the editor and lobbying of officials, as well as by establishing institutions to carry forward these various causes. This was a period in which can be found the roots of the not-for-profit sector and its significant role in Australia society with the establishment of voluntary organisations devoted to a wide range of social issues. During his time in Sydney Saunders was active in establishing a number of organisations devoted to social improvement, displaying the same activist reforming spirit that had driven the Evangelical struggle against the slave trade. The Christianity which grounded his social activism was a Christianity informed by the Enlightenment. He certainly viewed science positively as a helpful tool to guide and enrich community life and this is evident in a number of his public lectures. Saunders’s life after his return to England due to ill health in 1848 is not as well documented as is his time in Sydney. In assessing his contribution to public life in the colony it is significant that the subscription to assist his widow, money that was raised in Sydney after his death in 1859, came from a wide cross-section of the Sydney community, including ministers of all denominations, and from across a wide spectrum of society. The authors of this documentary biography are Ken Manley, former principal of Whitley College at the University of Melbourne, who has previously written a two volume history of the Baptist Church in Australia, From Woolloomooloo to Eternity, and Barbara Coe, a freelance editor and researcher. Between them they have opened up a valuable window on public life in Sydney during the 1830s and 40s, as well as helping to make better known an interesting and engaging contributor to that life. They have also provided an important case study of an early stage in the development of the distinctive Australian pattern of engagement between church and state and the role of voluntary organisations.